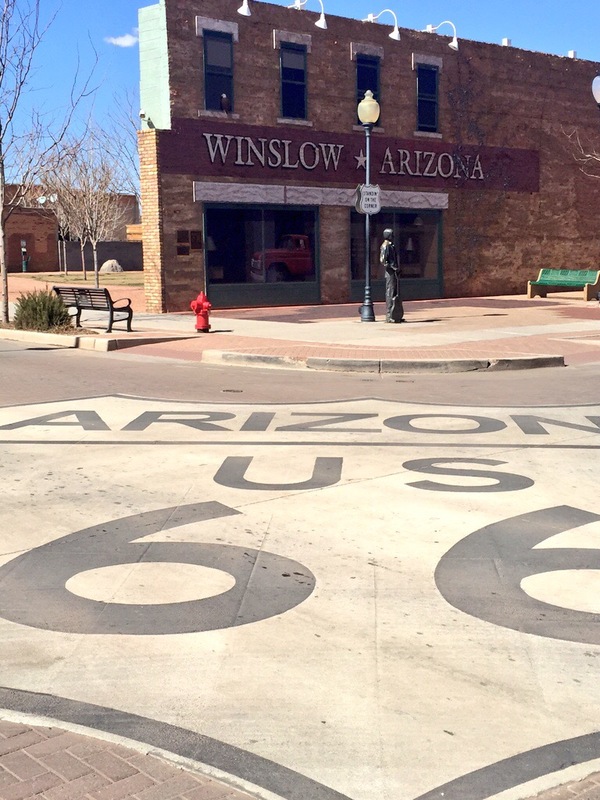 Another stop along our Route 66 Road Trip was in Winslow, Arizona. There is not much (or anything) to see in Winslow besides the corner with the famous man standing and the Route 66 logo on the street in front. This is a very quick stop along Route 66, fun to see but you definitely only need 5-10 minutes to see this sight! 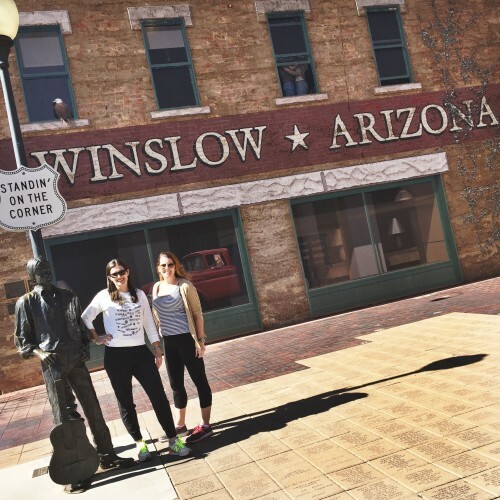 Winslow, Arizona. Winslow was named for either Edward F. Winslow, president of St. Louis and San Francisco Rail Road, which owned one half of the old Atlantic and Pacific Railroad, or Tom Winslow, a prospector who lived in the area. The last Harvey House (La Posada Hotel) opened in 1930. It was designed by Mary Colter. The hotel closed in 1957 and was used by the Santa Fe Railway for offices. The railroad abandoned La Posada in 1994 and announced plans to tear it down. It was saved by Route 66 fans, and it currently serves as a hotel. U.S. Route 66 was originally routed through the city. A contract to build Interstate 40 as a bypass north of Winslow was awarded at the end of 1977. I-40 replaced U.S. Route 66 in Arizona in its entirety.